A Delta 2 rocket was launched from Cape Canaveral on Saturday, February 17th. 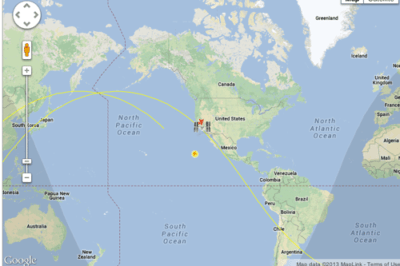 Track real-time location of satellites with this Google mashup. Global Positioning System (GPS) is a technology that uses the position of satellites to determine locations on earth. GIS and GPS technology is being used to help joggers and marathoners.